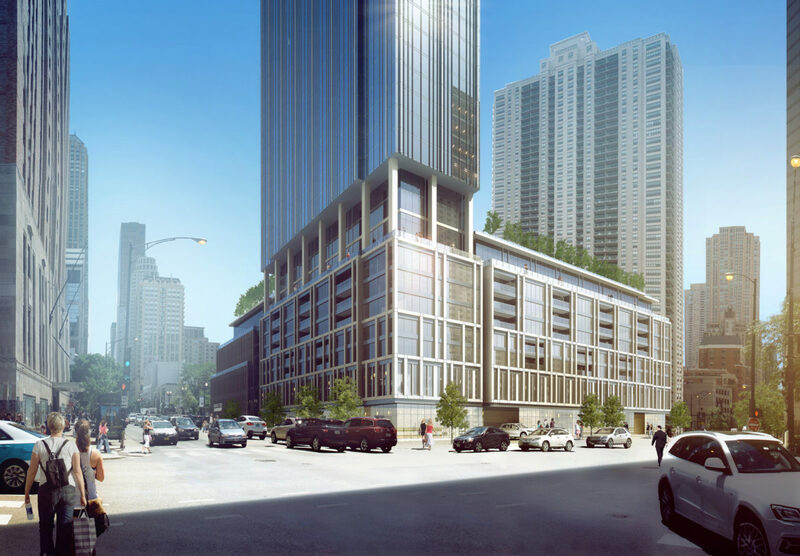 Courtesy of JDL Development One Chicago Sqaure would be built at State Street and Superior Street, right across from Holy Name Cathedral and near Loyola’s Water Tower Campus. Ambitious plans to build a new skyscraper in Chicago were introduced this month. 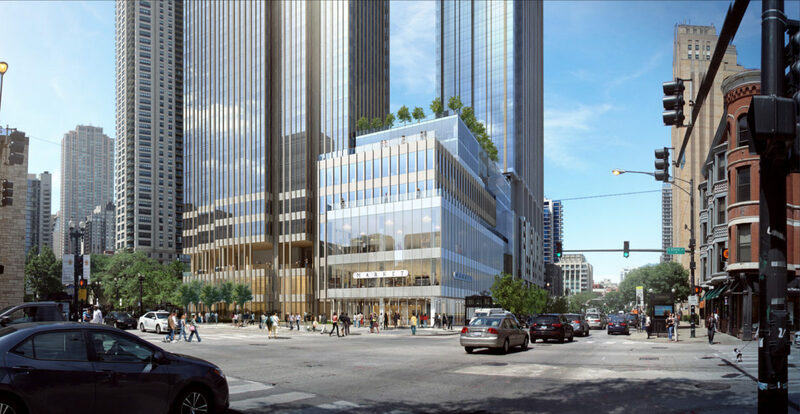 The building would be just steps away from Loyola’s Water Tower Campus (WTC). 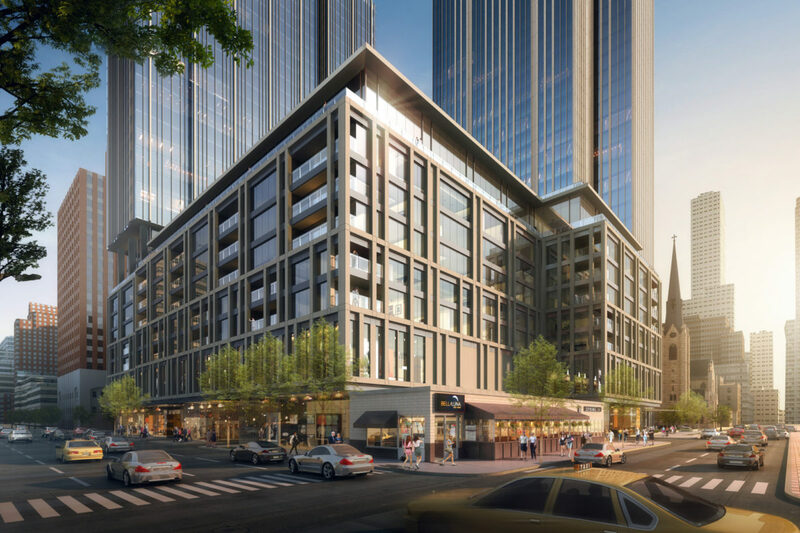 JDL Development — the design firm behind the luxury residential building — proposed the project called One Chicago Square. The development firm submitted a zoning application Oct. 11 and revealed plans in a public meeting Oct. 24 at the WTC. 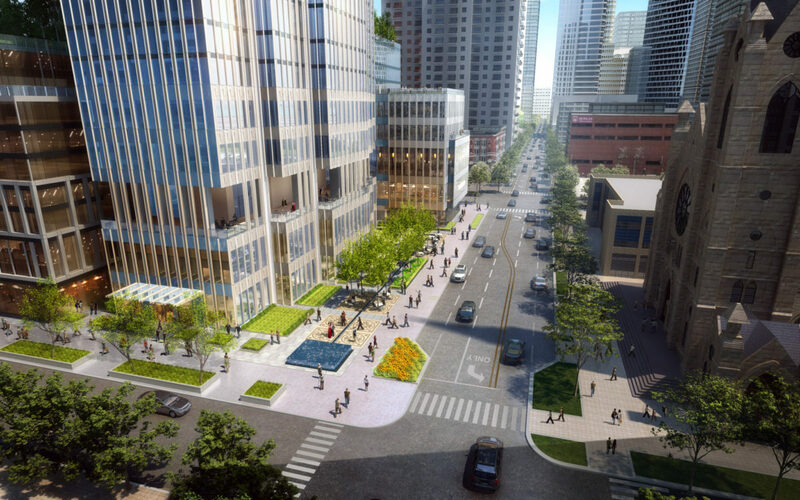 Two towers would replace the Holy Name Cathedral parking lot at State and Superior streets. 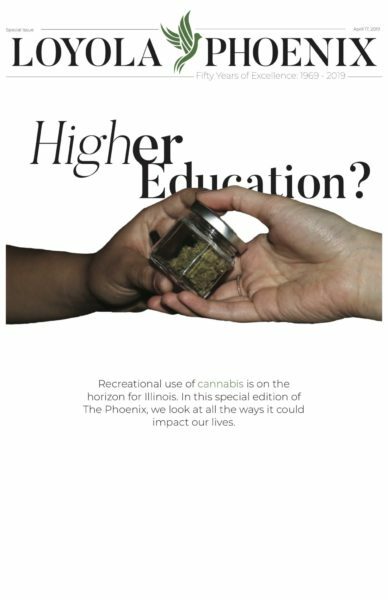 One tower would be 45 stories tall and the second would be 76 stories tall, according to the proposal. If built, the square would be among the tallest skyscrapers in Chicago. Jim Letchinger of JDL Development said the project will cost $740 million and bring in new jobs for Chicago. It will bring in about 1,000 construction jobs and more than 400 permanent jobs, according to Letchinger. 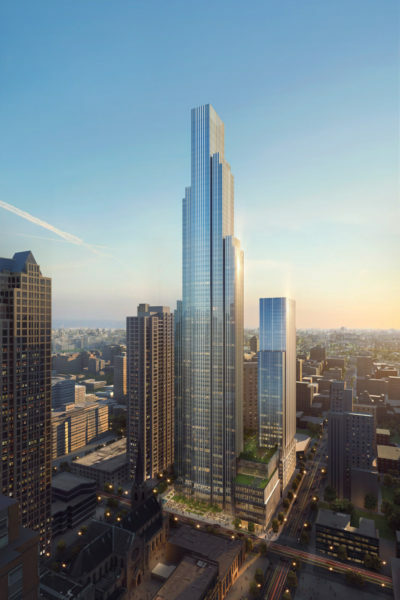 One Chicago Square would consist of 914 residential units, 200,000 square feet of retail and 45,000 square feet of office space, according to the building’s zoning application. The Affordable Requirements Ordinance also requires the building offers 10 percent of residential units to be affordable housing and/or contribute to Chicago’s Affordable Housing Fund. Letchinger said the vast majority of the feedback he’s heard about the project has been positive, and JDL Development has been working with the community to ensure approval. Letchinger said there are some concerns about how the building will affect traffic in the area, but he said it’s been an issue that’s always existed. If the project goes through, it would have several benefits for the city, according to Letchinger. One Chicago Square would generate about $8 million in real estate tax and bring in about $1.2 million to the immediate neighborhood, according to Letchinger. 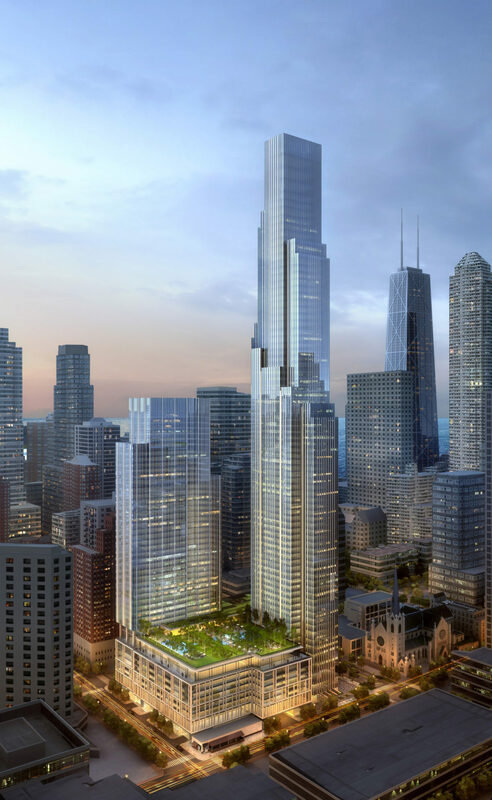 One Chicago Square needs to be approved by the planning commission, the zoning committee and the city council of Chicago in order to go forward, according to Letchinger. Letchinger said if the skyscraper is approved, construction will begin in fall 2018. Cameron Walter, a salesperson at the Mary Walter clothing boutique — which is across the street from the building’s proposed location — said he thinks the skyscraper will benefit the store and bring in new customers. Loyola sophomore Lauren Black said she likes the idea of having a new skyscraper being built downtown. Black said she recognizes that construction might pose an obstacle to traffic, but the benefits outweigh this.